Noah Stilinski is the sheriff of Beacon Hills, California, the father of Stiles Stilinski, the widower of his mother, Claudia Stilinski and close friends with Melissa McCall, Scott McCall's mother. 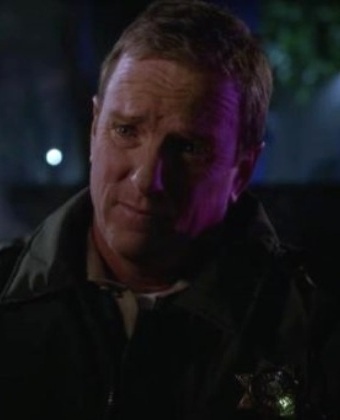 In Seasons 1 and 2, the Sheriff works on solving the murders as well as other criminal activity in Beacon Hills, but is unaware of the supernatural nature and presence in the town. In Season 3, he comes across the killing spree committed by the Darch, and is brought into the supernatural side when he's abducted by the dark Druid along with Melissa McCall and Chris Argent, but they are saved by Scott's Pack. In Season 3B, Stilinski gains a new assistant deputy Jordan Parrish, and works with the Pack and their allies to save Stiles when he is possessed by a Nogitsune. Noah is a intelligent and dedicated officer of the law, always doing his best to ensure the safety of the citizens of Beacon Hills, California. He has a strong moral compass, a sense of justice and protective instincts. Like Stiles, he can have a sarcastic tongue though not as pronounced. Also like Stiles he possesses great aptitude and inquisitiveness for solving mysteries, despite his inability to see the complete picture of what happening in Beacon Hills. Stilinski can be stern and authoritive, but compassionate at the same time, and though they can be as combative as in any parent-teenager relationship, and despite his frequent annoyance and frustration at Stiles' tendency to meddle in his investigations, he is an extremely protective, forgiving and loving parent to his son, partially due to his wife's death. Claudia's death still haunts and affects him deeply, he greatly misses her, though he and Stiles don't talk about her much. When finally introduced to the supernatural side of Beacon Hills, Stilinski is shocked, unnerved, though he eventually comes to terms with his new reality, having harboured guilt over a particular case where he came into contact with a girl who he'd suspected knew his wife was dying, but chose not to believe, and missed his wife's passing away. 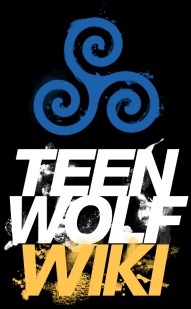 Upon gaining greater knowledge on how the world works and a more illuminated perspective, Stilinski gains a more open mind, and works to solve crimes of a supernatural nature often calling upon the help and experience of Scott's Pack, while simultaneously offering protection and guidance to his son's friends. Noah was in the military, having joined straight out of high school++. He was a deputy in the sheriff's department. While he was a deputy, Stilinski answered a disturbance call to the hospital where he warned a giant of a man not to create trouble when he asked to see the victim of a homicide investigation, saying no matter how close they were they're weren't family+. He came across the mutilated, savaged body of Julia Baccari and realised she was still alive+. Stilinski eventually got elected to Sheriff. His was in a happy marriage, and the death of his wife, Claudia, still affects him deeply. He and Stiles don't talk about her or her death much, and they use her memory as a weapon against each other. The Sheriff harbors guilt over not having been with her when she died, even though Stiles was there. He was assisting at a car accident instead. Noah is the name of one of the central characters of The Notebook and his wife Allie is dying of dementia just like Claudia was. The Notebook is the same movie that Lydia makes Jackson watch in 1x05 - The Tell, meaning that this was put in place from the start even though it was not revealed until 6x03 - Sundowning.